Slowly, ever so slowly, the quiet snow is melting on The Mountain, and its white luster subsides. Still, the air is sharp, and the sun struggles to appear, reminding me of its struggle to shine as it did when I lived in New England fifty years ago. Today, we went to lunch at Crossroads Restaurant with our good friend, Kathy Hamman, editor and co-publisher of Plateau Press in Sewanee, Tennessee and shivered in the huge barnlike place that was once the site of Sewanee Cleaners, huddling close to a woodstove and warming ourselves on lentil soup and Chinese Oolong tea—delicious wintry pleasures. When I reached home following lunch, I had an impulse to listen to "Songs From Liquid Days" by Phillip Glass, an album that Glass put together with lyricists Paul Simon, Suzanne Vega, David Byrne, and Laurie Anderson. I was drawn to listen to a piece called "Freezing" with vocals by Suzanne Vega and Linda Ronstadt, which ends with the words: "And now I'm freezing/Freezing." The lyrics seemed compatible with the below freezing weather outside my window. I had been reading E. B. White's account of a trip to China Lake when he, his wife, and young son were stranded in a village in New England during a snowstorm sans nightclothes. White had chosen to sleep in sweater and socks, his wife in a coonskin coat, and his son in a suit of "heavies" with a sweater on his legs. White wrote that his wife arose in the night and told him that it was impossible to sleep in a coonskin coat. I laughed aloud, as I had awakened, perspiring, in pajamas and a long-sleeve fuzzy bed jacket last night, while the temperatures dipped to eight degrees outdoors. This morning, there were animal tracks on the snow-covered drive and in the snow piled on our front porch, and I wondered what freezing critters had come to visit, looking for warmth and finding inhospitable hostesses. We've sealed off the crawl space under the cottage that skunks inhabited last winter; boarded up the entries to the attic where chipmunks once snuggled down for the season; the deer have been culled, and, in general, our wildlife population has diminished for the duration. 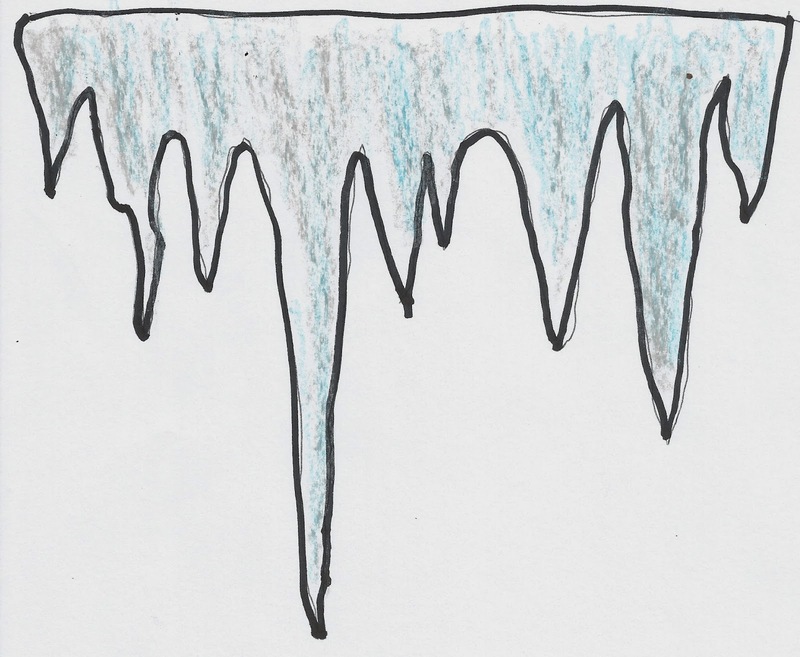 Life's problems seem minimal when we look out and see icicles hanging from the roof. Our thoughts are reduced to the major problem of keeping warm, and we dream of warmer climes like the Caribbean tropics, of being at peace with winter storms. Monday we'll return to "tropical" Louisiana that has also been assailed by Arctic storms—a place where temps are usually sultry, but where my son-in-law jackknifed his van on icy Darby Lane yesterday morning. Schools in New Iberia have been closed, and State offices have been shut down for three days. We hope for forty and fifty degree weather and for the balm of sunny days upon our return. With the country swathed in cold and ice, I reflect on Robert Frost's poem "Fire and Ice:"
"Some say the world will end in fire. Wherever you are, stay warm and well. As another poet said, "If winter comes, can Spring be far behind?" We returned from central Florida to discover freezing and below freezing temperatures on The Mountain here at Sewanee, Tennessee, and this morning thirteen-degree weather fostered snow that has been flurrying most of the day. 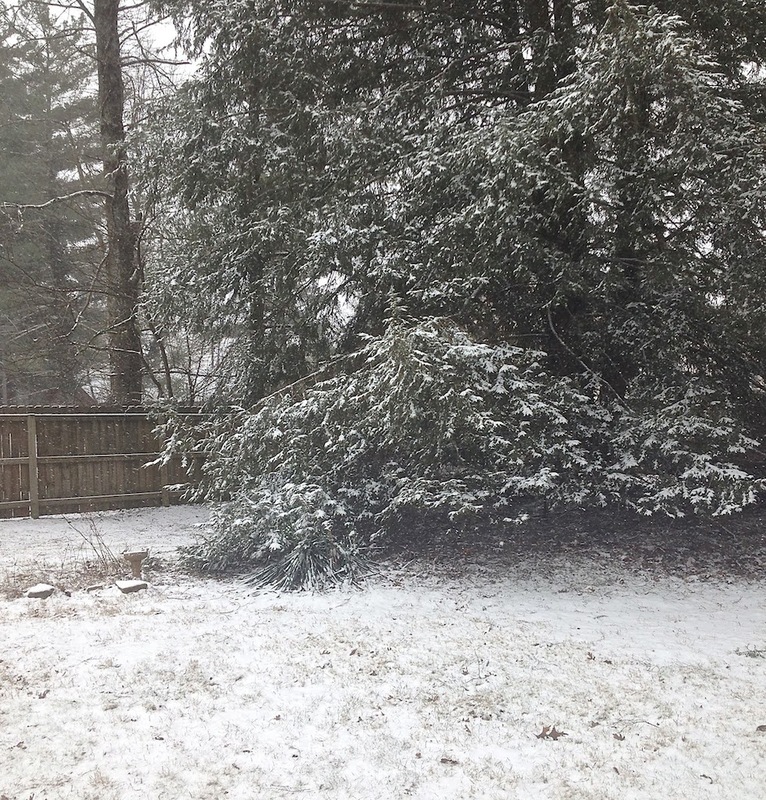 The tall, beautiful hemlock in our backyard, one of the "redwoods of the East," has a dusting of white on its slightly drooping branches, a graceful reminder that we're surrounded by forests—and subject to severe winters. The towering hemlock in my yard may be over 100 feet tall and stands alone, a giant tree of pyramidal shape that has escaped (so far) the hemlock wooly adelgid that has been attacking sister hemlocks here on the Cumberland Plateau. The Tennessee Division of Forestry predicts that in the next few years all of the hemlocks in Tennessee counties will suffer adelgid invasions. However, one measure of control that has been suggested is the use of predator beetles, and I'm wondering if those ladybugs that continue to hover about in our garage could be put to use. After we returned from Florida, I found a few live ones setting up house in a bedroom and promptly evicted them, but they persist in other places, throwing out an acrid scent when I disturb them. Another treatment for control of adelgids that attack hemlocks has been the use of chemical control, but this is an effort that should be coordinated with state and federal agencies— e.g., the National Park Service, the Tennessee Hemlock Conservation Partnership, the U.S. Fish and Wildlife Service, Eastman Chemical Company, and the East Tennessee Climbers Coalition. Meanwhile, I still see nocturnal animals disappearing under the drooping branches of our hemlock in all its unpruned and unsheared expansiveness. It's a hardy conifer and has a long life span, perfectly at home in rocky soil. I hope that it sticks around as long as I live on The Mountain and have threatened to try medicinal tea brewed from its bark but am leaving this to the critters who drink at its feet nightly. Foresters call it a "superlative,"
the hemlock keeping their secrets. "Show me the way to go home,"
and I will have to oblige. 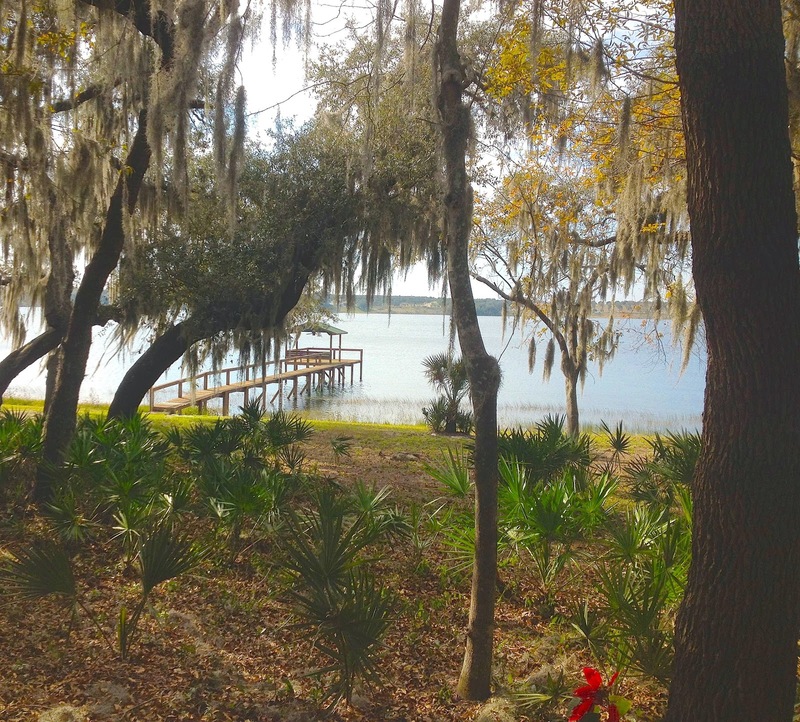 The tranquil scene above depicts the kind of Florida trips we usually make to the Sullivan home located on Silver Lake in Frostproof, Florida. The home is set on this site that allows for perfect views of tranquil sunsets and a shimmering lake—breathtaking scenes conducive to visual relaxation. If I were choosing a site for a resort and a golf course, this lake setting would be an ideal one. 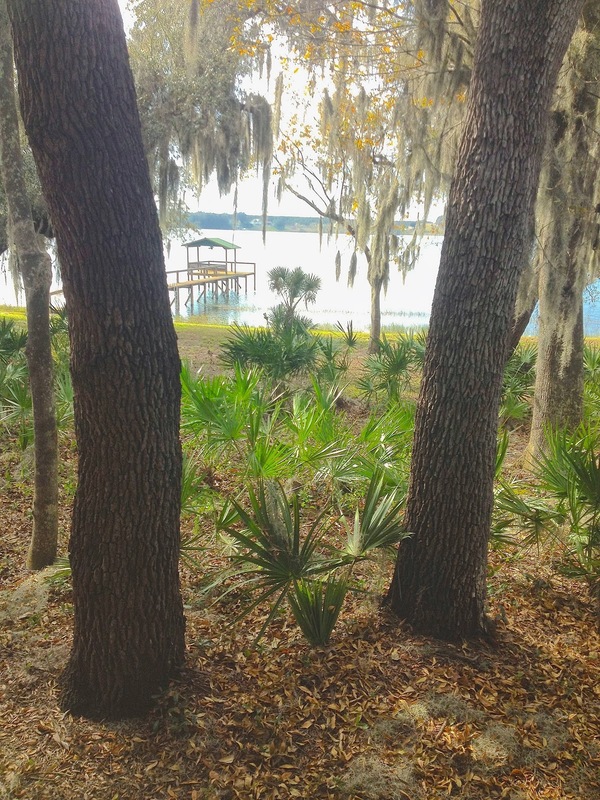 However, after spending a few days at this location, four of us set out on an exploratory trip searching for serendipity and an atypical Florida site. We had heard that we could find a moderately-priced lunch at a 100 million dollar resort about thirty miles west of Frostproof, near Fort Meade, Florida that lived up to its intriguing name, "Streamsong." We drove west on a two-lane highway lined by palmetto scrub, small ponds, and mounds of discarded materials from phosphate mines, weaving our way beside dying orange groves, cattle-grazed land, unnoticed for many years, and through scenery that we called "the boonies." It was reclaimed mining territory, and within an hour we had entered a 16,000-acre site, last mined in the 60's, where two 18-hole links style golf courses had been carved out of huge sand dunes left behind by the original mining operations of Mosaic Phosphate Company. Our first response was one of incredulity when we viewed the particularly stark and undeveloped setting -- or so it seemed. The place was remote, and when we saw the huge 216-room lodge looming ahead, we were amazed at the architectural dream that has become a global destination for golfers and those who like to stay in buildings that reflect the natural environment. I didn't take a photograph of the six-story lodge because it was a gray day, and the innovative design of the building didn't particularly appeal to me, but I was told that the lodge wasn't just a product of artistic sustainability, it had been hailed as an extraordinary piece of architecture. To me, the building had an institutional, stronghold aura—even the turret on the roof resembled a guardsman's post, but the design has been heralded as "bold and audacious." We lunched in one of the three restaurants within the lodge, the "P205" (chemical formula for phosphate), which featured Floridian comfort food including chicken pot pie and fried grouper, and were told we could visit the grotto-style spa if we wished. We declined that invitation, as well as an invite to enjoy the "infinity" pool. The concierge informed us that Streamsong's two golf courses have been ranked among Golf Week's best golf resort destinations in the U.S.
Streamsong, a destination set in a remote area halfway between Orlando and Tampa, may not have been our idea of perfect serendipity but we agreed that it could be a place to escape the stresses of post-modern living and to re-connect to a natural environment indicative of pastoral central Florida. As I said when I began this blog, the scenes on Silver Lake (shown in the attached photos) appealed more to my sensibilities. However, for golfers who like luxury and minimalist nature in one package, Streamsong offers a unique experience off the beaten track. Snow flurries fill the overcast sky but don't stick to the beige tufts of dried grass in our yard here at Sewanee, Tennessee. Bleached acorns that the squirrels didn't store up are scattered across the tufted expanse, and a few sparrows hover near the rotten tree that fell during our absence from The Mountain. The log once housed the nest of a beautiful pileated woodpecker that often tapped out a drummer's song near my study window. 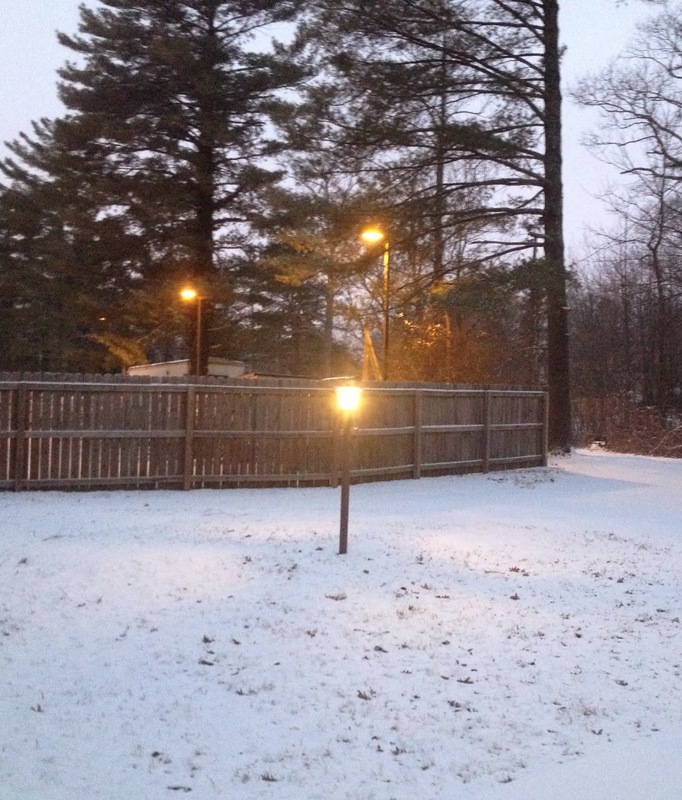 After seven years, the backyard fence separating us from student life has finally turned gray to match the over-riding hue of gray peculiar to Sewanee, the village to which I often refer as "Grayburg." Temperatures have risen to 34 degrees, and I'm indoors after venturing out once this morning to take Communion to a close friend who is housebound. We aren't usually in residence on The Mountain in January as we migrate south to New Iberia, Louisiana for the winter, like true snowbirds; however, we had commitments for meetings this month and arrived in time for hard freezes, traversing a muddy road leading to our cottage. Life moves on, despite the wintry cold. A few night ago, we went down to the valley for dinner at a Japanese restaurant in Tullahoma, Tennessee just to break the cabin fever of the last few days, returning after dark when a huge full moon lighted the winding road leading from Cowan. Winter seems to inspire hunger. The smell of baked chicken lingers in the cottage, a delicious aroma that filled the kitchen this cold morning and made us feel as if we were on holiday. I know that during winter months, I feel hungrier than usual, and I'm not alone. Food enthusiasts write that we have a tendency to store up calories during winter because of certain primitive impulses or animal instincts to "eat up" because we must endure cold weather. 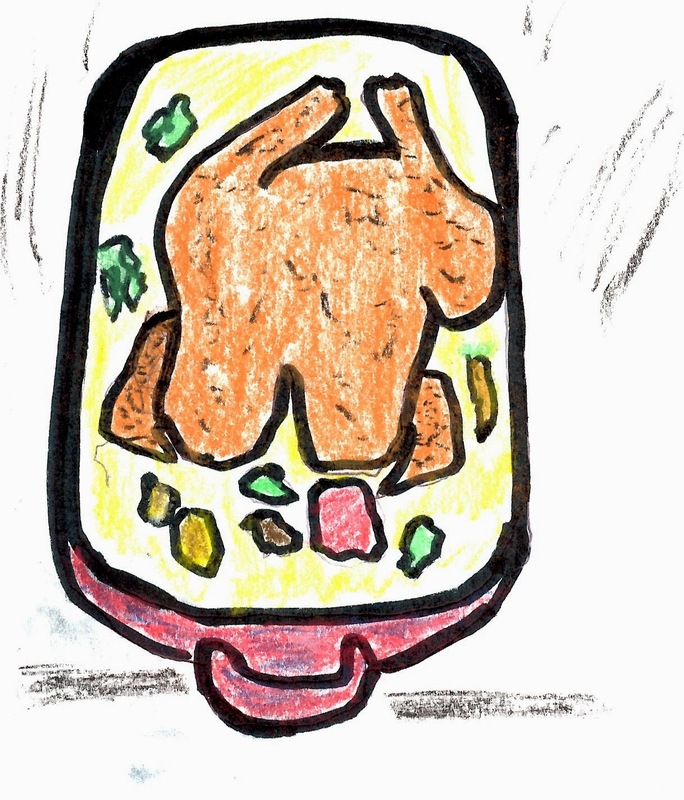 Certainly, we eat more fat, researchers conclude—thus, the feasting on a fat hen at lunch. I told myself this food was needed as I sat swathed in a fuzzy robe, looking out at the snow flurries. And therein lies another reason for food storage during the winter—less physical activity. In an NPR interview, Dr. Ira Ockene, a cardiologist, reported that less light in the winter prompts us to look for food and to eat it faster. Also, the holidays prompt more feasting, and consequently our fat pads grow. Food experts advocate that we must eat more protein and use moderation in our consumption, two things that are in opposition to the themes in a book I'm reading entitled Provence 1970 by Luke Barr. This fascinating volume highlights the history of American cookery and the French influence on chefs MFK Fisher, Julia Child, and James Beard, among others. Provence 1970 is filled with appealing menus, including one that features roast chicken and Barr's description: "Was there a better smell in the world than a chicken roasting in the oven? The slowly crisping skin, the sizzling noises reaching a crescendo..."
So what if we consume 200 more calories a day in the winter (according to researchers at the University of Georgia)? Good food is linked to good memories, and a chicken roasting in the oven is just another one of life's small pleasures associated with a little fat sizzling in the pan. We never know what critters will take up residence in our cottage on The Mountain while we're away for the winter. When we returned a few days ago to take care of business in Sewanee, Tennessee, we found the floor of the garage littered with dead ladybugs—dozens of them laid out on the concrete, looking as though they had been in a great battle for space in a warm place. I swept them out of the garage and into the woods while the leafless trees observed my hygienic antics, looking like Millay's "bare ruined choirs," a fitting requiem for the little army of bugs. In a misty cold rain, I buried them under a pile of wet leaves, promising to mention them at Eucharist in the chapel at St. Mary's this morning... at least silently. However, following the service, at breakfast in the refectory, I interrupted a serious conversation about St. Francis to initiate the "ladybug symposium." According to the Sisters of St. Mary and Father Jim, the ladybugs had invaded the stone walls of the Convent this month, somewhat like the plague of locusts of the Old Testament. One day they almost covered an outer wall, seeking warmth in any cracks they could find in the gray stone (they're attracted to buildings that are light colored). Sister Madeleine Mary, who has the same penchant for tidying up as I do, hooks up the vacuum daily to clear the convent of these critters who seem to die once they get indoors. She reported that one day the air became so dense with them that an oblate who is a daily walker had to stay indoors because a group of the bugs flew into her hair and tried to party in her white tresses. Fr. Jim says these ladybugs are Asian bugs and are relative newcomers to the U.S. Harmonia axyridis are unwanted guests that crawl around on window sills and walls, nest in attics and, in his words, "absolutely stink." Actually, the first populations of these pests were discovered in Louisiana, and there's some evidence that they're illegal immigrants that arrived in New Orleans on a freighter from Japan. Their native habitats in Asia are trees in forests and orchards, and they consume hundreds of aphids daily. 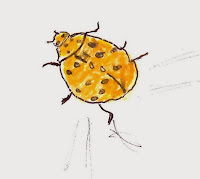 The ladybugs or lady cows, or golden bugs, as they're variously called, don't have many enemies except for small wasps and flies. To defend themselves, the warrior bugs secrete a stinky yellow fluid from their legs when some critter disturbs them, and most of them die at sub-freezing temps, which would account for those that perished in my garage. These Asian ladybugs don't harm anyone, although Fr. Jim says that they can bite. They don't reproduce indoors and don't eat wood, food, or clothing. I found a small army of the dead critters by the side of a bed in a room, and it appears they died before climbing under the covers. There's no solution to keeping out these ladybug invasions, and I'm told that another wave of them will probably arrive in the Spring. I console myself with a bit of trivia: in Turkey and other countries, the arrival of ladybugs signals the granting of a wish or good luck. At least we didn't discover skunks in the crawl space as we did last year when we returned to our cottage in the Spring! During the Christmas holidays, my kin, all of whom follow the antics of the television reality show, Duck Dynasty, discussed some of the merits of the characters featured in the show while we waited for Christmas dinner to cook. As a great-grandmother, I've already been relegated to the "dinosaur" category of animal species, but my ignorance about this show really brought forth major shock reactions in the younger crowd—and I vowed to watch one of the shows to see what all the hoorah was about. After watching several old episodes of Duck Dynasty, I had to admit that these homespun north Louisiana characters in the Robertson family from Monroe, Louisiana were pretty funny, and I watched just enough of the series to be conversant the next time we gathered for a family celebration. Just yesterday, I was surprised to discover that one of my close friends, Dr. Mary Ann Wilson, who teaches English at the University of Louisiana-Lafayette, has become a fan of this show and will present a paper about the Duck Dynasty at a meeting of the Society for the Study of Southern Literature in Arlington Virginia in March. The meeting is dubbed "Other Souths, Approaches, Alliances, Antagonisms," and Mary Ann's abstract for the paper is entitled "'Redneck Feng-shui': Duck Dynasty and the Other Louisiana." Mary Ann's premise is that Louisiana has a history of being an exotic place in the U.S. from "Edward King's images of magnolia-laden plantations in the post-Civil War series, The Great South, to Kate Chopin's local color sketches in Bayou Folk and A Night in Acadie." She cites the success of Swamp People on the History Channel, which she says highlights the "otherness of Louisiana and its myth-making potential," and this show has been followed by Duck Dynasty, featured on A&E television. Briefly, the Duck Dynasty, otherwise known as the Robertsons, began to enjoy fortune and fame when the head of the clan, Phil Robertson, crafted a unique duck call back in 1972, an object that burgeoned into Duck Commander merchandise and into a major reality show that has catapulted the family into unparalleled public acclaim. Just recently, the show garnered recognition as the "most popular television show in the U.S."
In the abstract for her paper, Mary Ann describes Duck Dynasty as performing for "a voyeuristic public a version of southern identity complete with pastoral wilderness, peculiar north Louisiana patois, and rags to riches success, combining laissez-faire Louisiana with Yankee hustle." She adds that [this show is] "red state 'Americanness' on display—a contrarian libertarian streak embodied in presumably self-made men..."
Her intellectual commentary about this down home show imparts credibility to a show that could have been criticized as sit-com slapstick underlining the public's notions of what it is to be southern. 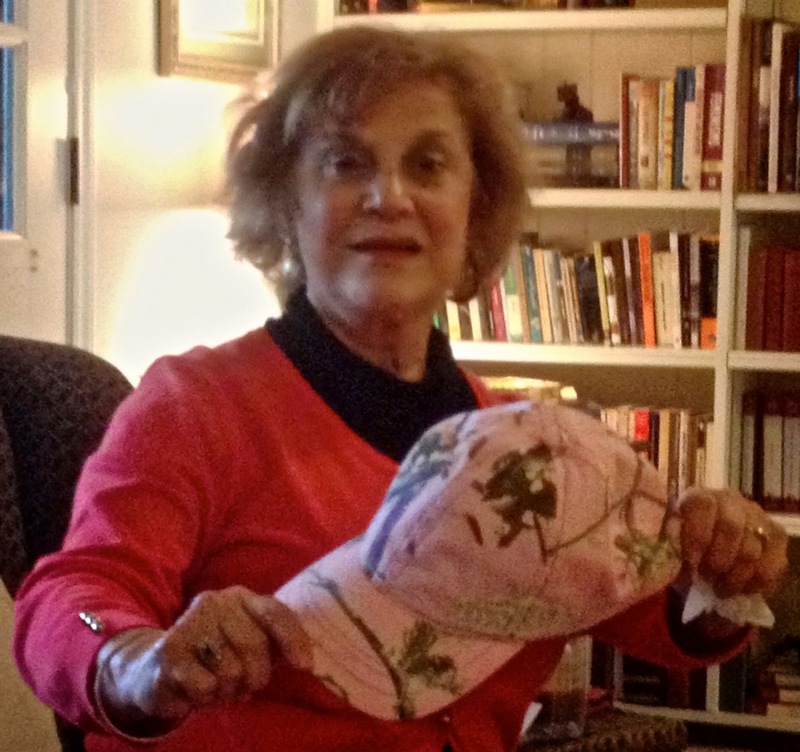 However, Mary Ann says that the show "combines nostalgia for a vanishing way of life, the frontier spirit of an earlier time, a strong Protestant work ethic, and a comforting reinforcement of gender spheres..."
During the holidays, Mary Ann received an official Duck Dynasty cap, which is displayed in the attached photograph. I'll leave it to Louisiana readers to decide whether they agree with Mary Ann that the home of Duck Dynasty is a "liminal space in the South, more like east Texas, and Mississippi, resolutely NOT New Orleans, Baton Rouge, or even Lafayette..."
I hope I have the opportunity to read the paper she presents at the Southern Lit Conference in Virginia and would love to be a fly on the wall of their meeting room so I could see the reactions of the gathered intellectuals to Mary Ann's version of "Redneck Feng-shui." During these wintry days of Arctic blasts and below freezing temperatures, I think of the winter I spent in Aroostook County, Maine where the average temps frequently reached 20 and 30 below zero. It was a long and bitter winter that began in late October and ended in late May. We lived in the second story of an old farmhouse in Limestone, Maine, a town in the heart of potato-producing country not far from Madawaska. As I'm of Acadian descent and lived near enough to Madawaska to enjoy the Acadian Festival held every year in June, I've always regretted that we missed this festival because we beat a hasty retreat in May, eager to leave the "winter of our discontent." A lifelong southerner, I braved the first month of the severe Maine winter in clothing fit for a Louisiana frost with bare legs, wearing a lightweight coat, socks and loafers. I slipped on the ice twice before buying my first and last pair of fur-lined, heavy-soled shoes, and I learned to go outdoors with enough body coverings to ward off frostbite, even investing in earmuffs. For those readers who enjoy trivia, the earmuffs were first designed by a Maine resident named Chester Greenwood, a fifteen-year old boy from Farmington, Maine. Greenwood patented the earmuffs in 1876 and they earned him a comfortable living for the rest of his life. Farmington still honors Greenwood and celebrates his "invention" at an annual festival. Although we lived close enough to glimpse the aurora borealis, or northern lights, which are caused by electrical charges in the atmosphere of the far north, we never saw this phenomenon that occurs beyond the Arctic Circle and sometimes travels south to northern Maine. We did claim the distinction of being able to celebrate the sunrise before any other state because the sun rises first in this most northeasternly tip of the U.S.
Part of the Appalachian Trail actually lies in Maine, a trail that winds for 2,000 miles through fourteen states, beginning near Mount Katahdin in northern Maine and ending at Springer Mountain in Georgia. Because of steep climbs and wild woods, the Maine climb of the Appalachian Trails is reputed to be one of the most challenging trails for seasoned hikers. Hikers and naturalists love Maine's natural beauty. At one time, John D. Rockefeller, fearing that development threatened to destroy this natural beauty, purchased 11,000 acres of land and helped create Acadia National Park in Maine, laying out fifty-seven miles of roads to be used only for horse-drawn vehicles. Today, cars are still forbidden to travel those roads. It's a human tendency to romanticize places that we've visited or where we've lived that are located quite a distance from our roots, but I find it difficult to romanticize that severe winter I lived in the northernmost part of Maine. We heated the living room with an aging oil stove, kept the kitchen warm by lighting the oven and opening its door, and almost suffered frostbite in the bedroom and bath, which had no heaters. We survived with an electric blanket, a small portable radio, a 45 rpm record player, two decks of cards, books from the local library, and a set of Tchaikovsky's symphonies. Our fare consisted mostly of pinto beans and the potatoes raised in sandy soil on local farms that produced enough plentiful crops to place them sixth in potato production in the U.S. 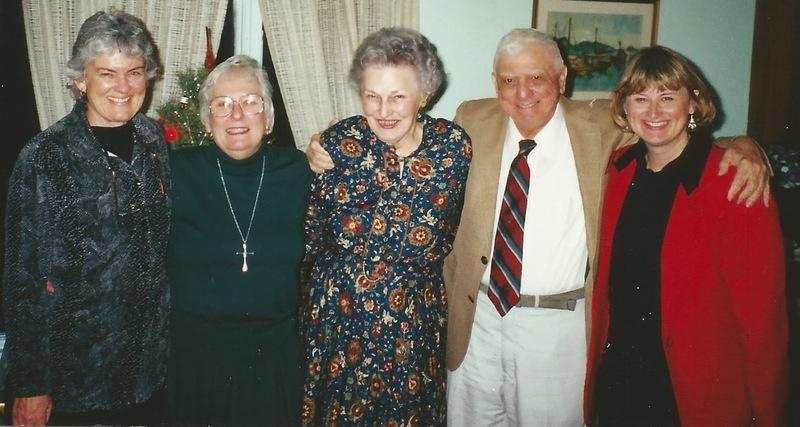 I was nineteen years old, and despite the monotonous fare and the frosty days I spent outdoors sledding and shepherding the neighborhood children, I returned to Louisiana glowing with good health and an appreciation for warmer climes. I might add that Maine has a formidable list of Who's Who poets and authors, including Sarah Orne Jewett, Stephen King, Henry Longfellow, Edna St. Vincent Millay, Edward Arlington Robinson, and others. 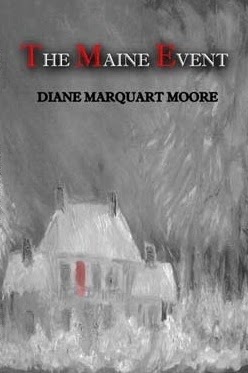 Several years ago, I published a novel entitled The Maine Event, based in Aroostook County, Maine where I lived, and although I don't know the identity of my readers, I still sell a few copies of this book monthly and often wonder if these readers are located in the Pine Tree State—perhaps live in the cold north woods near Limestone, Maine. Yesterday when I went into Paul Schexnayder's A&E art gallery to pick up several paintings that will be included in a book entitled Porch Posts that I and Janet Faulk-Gonzales have written, I discovered a new brochure about the Louisiana Gourd Society lying on the checkout counter. Now, I'm a fan of gourds, as my father always raised a crop of them that he dried and placed on the back screen porch because my mother loved to see them hanging there. Mother was an artist, but I don't think she ever considered painting or decorating them like many contemporary artists do. On my travels last year to Rugby, Tennessee and Berea, Kentucky, I saw many painted gourds and admired the colorful artwork, but I left them hanging as I found that they were a bit pricey for my pocketbook. The Louisiana Gourd Society, whose mission is to educate, promote, and encourage the growing, culture, use, history, and/or craftsmanship of gourds, made its debut at the Acadiana Gourd Festival in Jennings, Louisiana three years ago. The festival featured two gourds decorated with beautiful paintings—one of a Blue Heron and the other of a traveling gourd dedicated to Louisiana's Threatened and Endangered Wildlife. The first annual Louisiana Gourd Show, "Gourding on the Bayou," was held last April in Haynesville, Louisiana, and this year it will be held in "The Berry," aka New Iberia, Louisiana. An auction and a raffle for the Louisiana Gourd Festival Traveling Gourd entitled "Louisiana Native Wildflowers" will be featured. My discovery of the gourd brochure brought to mind the gourds I saw at Melrose Plantation in Natchitoches, Louisiana when I was researching Their Adventurous Will: Profiles of MemorableLouisiana Women, a book I wrote back in the 80's. A long line of gourds extended across the front of African House, a building representing Congo architecture on the grounds of Melrose. Later, I found much ado about gourds written by Francois Mignon who lived and wrote at Melrose Plantation for over thirty years. Mignon compiled the columns entitled "Cane River Memo" (later changed to "Plantation Memo") that he wrote for the Natchitoches Times, The Alexandria Town Talk, Opelousas Daily World, and Shreveport Times and published them in his book, Plantation Memo. Mignon published a lengthy column tracing the history of gourds to Aztec, Mayan, and Inca empires of Central and South America, reporting that these people used them for dippers, jars, even as aids to folk music performances. He said that it was fun raising gourds in the Spring, but it was a job curing them in the Fall, adding that "any dolt can toss a gourd seed into the ground with fair prospects of it bringing forth a vine and a bumper crop," but at harvest time it was a job to divest them of excess moisture. To avoid decomposition of the gourds, he advised the grower to allow the gourds to remain on the vine until they ripened and fell, then suspend them from a line until the water (3/4's of a gourd!) within them evaporated. Mignon reported that in a few weeks the gourds would become discolored, but he usually removed the outside layer of them with a knife, then washed the gourds in soapy water, dried them with a cloth, and hung them back on the line to dehydrate. 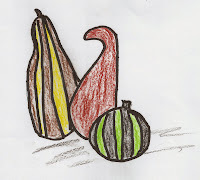 A few weeks later, Mignon would take the gourds down and paint them with a thin coat of oil. 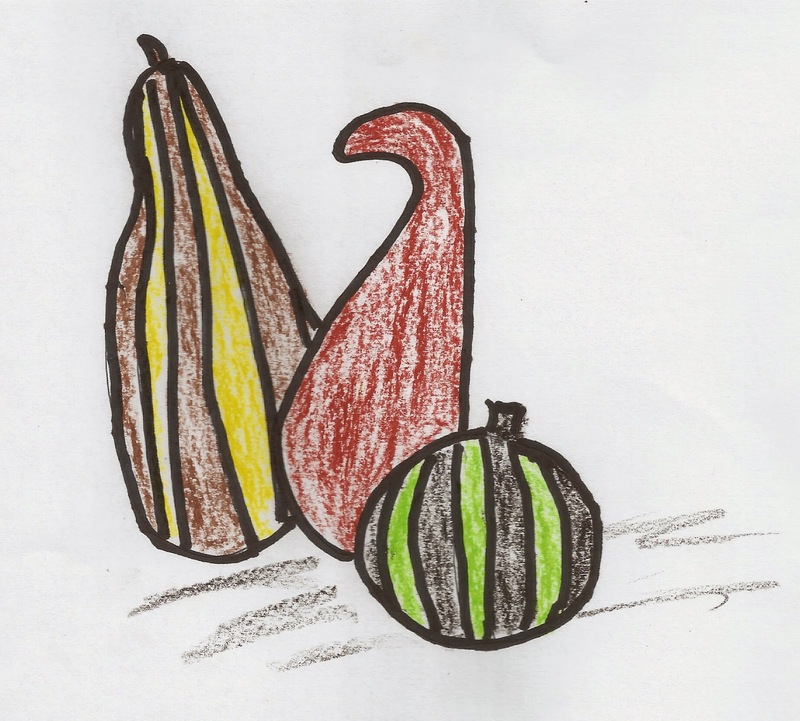 His gourds would eventually develop colors ranging from deep russet to shades of purple, and he recommended using them to decorate porches, to provide houses for wrens, to create dolls, even to provide containers in which to store eggs. He concluded his remarks about gourds with the comment: "I am the happier when my calendar reminds me it's time for gourd harvest." And, in case you think I've gone off my gourd about this subject, I refer you to Mignon's Plantation Memo, published by Claitor's in 1981. Francois Mignon was another Louisiana writer who may be unsung in the annals of Louisiana literature, but I admire his writing and regard it as a breath of fresh air. He wove a rich tapestry about life in Cane River country during the three decades he lived on Melrose Plantation. An acquaintance of mine who maintained the library at the Daily Iberian years ago, once labeled a file containing copies of my column Cherchez la femme as "Diane's Rantings." Not long ago, another friend referred to my blogs as "Diane's Musings." While the file of my columns elicited a negative response, the label given my blogs caused me to feel as though I've moved forward with my little essays about what goes on in my life, in the lives touching mine every day, and in those lives that have been linked with mine in the past. A friend in Colorado has been sending me happy reports about the antics of turkeys that visit their plateau cabin, attempting to entertain me while I'm ailing and included wishes for a creative New Year. The list could be longer, but readers can glean the message of my musings -- I, and most people I know, live in a world blessed with people who honor us with their friendship. I add to this rumination the words of Evagrius Ponticus, who had strong notions about what human beings are capable of and wrote: "Is isn't possible to love all the brethren to the same degree. But it is possible to associate with all in a manner that is...free of resentment and hatred." And, I might add, Open your eyes to see your friends and the gifts they have given you in recognition of you as special kin. stepped out to claim that world.